Should collapse ever rear its ugly head whether caused by a natural or man made disaster, the results will end up being the same. Manufacturing will be dramatically reduced or it may cease altogether, and this will affect all aspects of your life, from food supplies to medicines and health care in general. Once production halts the only manufactured goods that will be available are those in inventory and they will be in high demand. It is important that you have adequate supplies of certain things that rely on specialists and modern technology to manufacture. 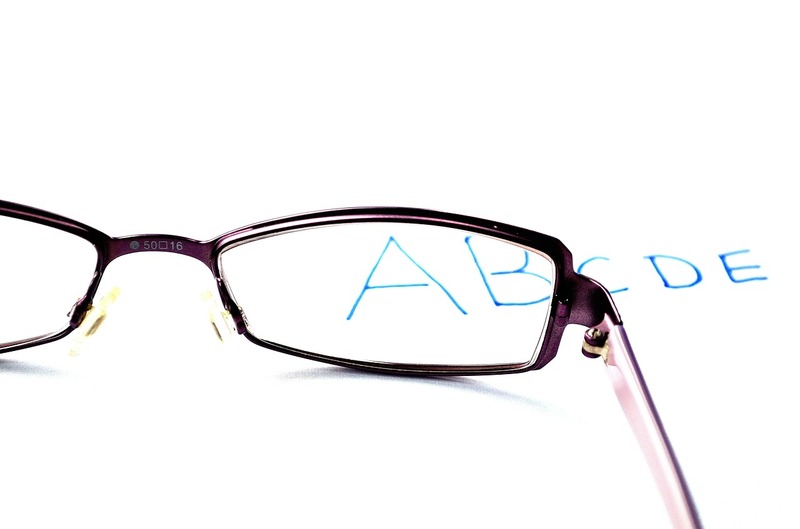 Eyeglasses along with contacts are just some of the things you will need. Even if production continues in certain parts of the world, eyeglasses and contacts require an exam and a qualified optometrist to write out a prescription. In a true SHTF scenario, what you have on you is all that you have so it is important to have what is needed. What people fail to consider at times is things change in a hurry and the fact that you do not need something today does not mean you will not need it tomorrow, so think ahead. Typically any person 40 years and older will require reading glasses, not just to read however but for any close up work such as sewing and woodcraft. You must be able to read labels for safety and directions and to be able read the operators’ manual on any tool and piece of equipment. Whether you need reading glasses today or not, you should have various strengths on hand in the event of a calamity. Eyeglasses lenses can also be used as emergency fire starters. You should always have extra prescription glasses on hand and have at least one pair of prescription sunglasses. UV rays have been proven to cause damage to eyesight and it is important that you have protection. Contacts will have an expiration date on them because they are classified as a medical device. It is the solution that expires and once opened the expiration date is shortened unless you can supply fresh cleaning/storage solution. Saline will breakdown over time, which will ruin the contacts so it is important that you have an ample supply of solution on hand to refresh your stored contacts. 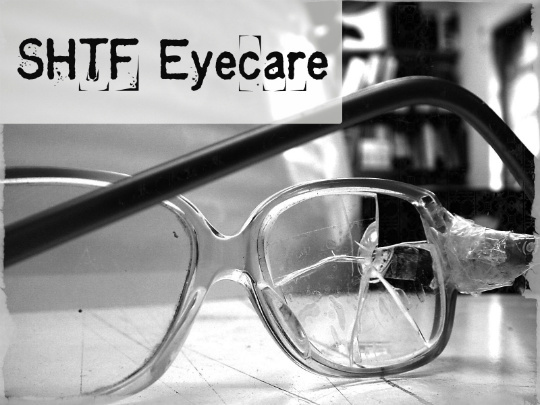 Save all prescription glasses even if your prescription has changed because they can be used in an emergency. Have one pair in your vehicle, one at home and one in your bug-out/survival bag in addition to the ones you are wearing. One production ceases because of a crisis it will be impossible to obtain contacts and glasses from your optometrists. In certain situations, it may take years before production of any materials once again starts up. Contacts and eyeglasses are one of those items you cannot make yourself at home. You may think you see fine but you have become accustomed to it and simply have nothing to compare it to. There are people walking around that need prescription eyewear and do not realize it. In any survival situation particularly a long-term situation, you will become more and more reliant upon your senses and you want to make sure they are working at their optimum level. Have your eyes checked, and if over 40 and the print now seems a little fuzzy have your doctor prescribe reading glasses or choose a prescription off the shelf for a few dollars at virtually any retail store.